Sitting near the top of the South Island of New Zealand, Nelson is a city boasting crystal clear blue lakes, artisan food, gorgeous golden sand beaches and three stunning National Parks. With a rich scenic backdrop there’s plenty of outdoor activities for everyone, from nature exploring and adventure tourism, to fine food and wine sampling - plentiful options to satisfy a wide range of tastes. 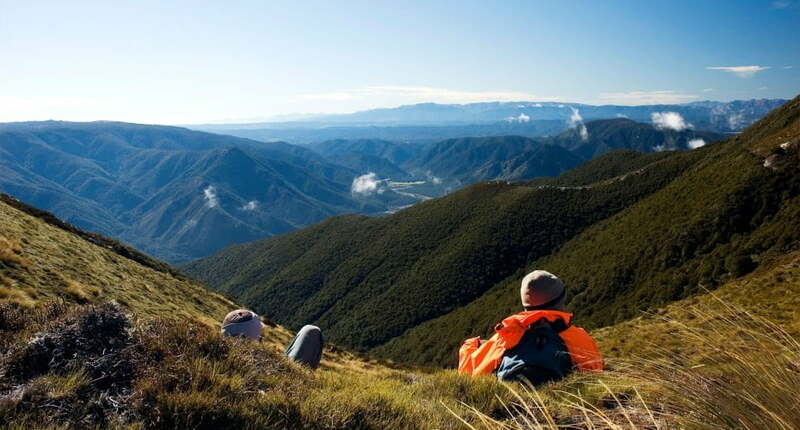 For those who enjoy some cross-terrain adventuring, three of the most spectacular national parks you’ll find in New Zealand are situated in the Nelson-Marlborough region. The Nelson Lakes, Abel Tasman and Kahurangi National Parks provide a stunning backdrop to the world famous hiking trails Abel Tasman Coastal Track and Heaphy Track. The Nelson Lakes, Abel Tasman and Kahurangi National Parks provide a stunning backdrop to the world famous hiking trails Abel Tasman Coastal Track and Heaphy Track. Alternatively, one of the more exhilarating ways to enjoy the natural splendour of this region is by joining a canyoning tour: embark on a scenic trek, slide down water polished chutes and abseil through waterfalls – guaranteed to get your pulse racing. Another ‘active,’ but less extreme, tourism option is a cycle-ride through the heritage protected Spooners Tunnel. At 1.35kms long this former railway is considered the Southern Hemisphere’s longest ride and is exclusive to cyclists and walkers. If you need something a bit more laidback after that adrenaline rush, hit the water on a sea kayak in Abel Tasman and there’s a good chance you’ll be treated to some seal, dolphin and sea bird spotting. Or if your kids are Lord of the Rings fans they’ll be excited to learn that the Nelson-Tasman region is home to no less than seven filming locations from the LOTR and The Hobbit trilogies – take a day trip to these and picture yourselves battling orcs and goblins amongst rolling grasslands, valleys and beside sparkling rivers.